Coastal real estates in Bulgaria. 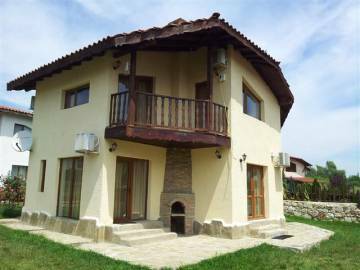 A new partial furnished two storey house in the gated type complex, Bulgaria, 19 kilometers away from the beach of Golden Sands and Albena, in the village of Osenovo, close to Varna. Hunting area and fishing area. Coastal real estates in Bulgaria. 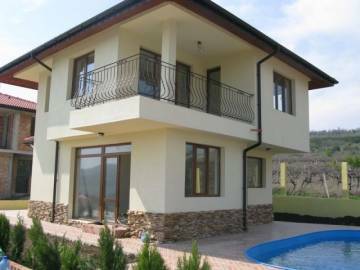 A new two storey fully finished house in the gated type vomplex, Bulgaria, close to the beach and sea resorts - Golden Sands and Albena, in the village of General Kantardzhievo, close to Varna. Hunting area and fishing area. Coastal real estates in Bulgaria. 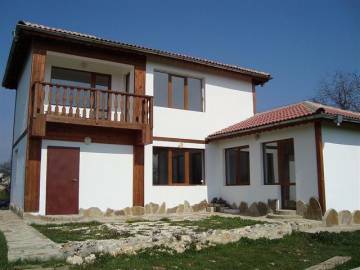 A new solid two storey fully finished house in Bulgaria, close to the beach and sea resorts - Golden Sands and Albena, in the village of General Kantardzhievo, close to Varna, Permission for use, Act 16. Hunting area and fishing area.